After a gap of nearly five months, The vegetarian biryani returned to the menu of Swedish home furnishing retailer IKEA on Thursday. In September last year, IKEA’s had stopped selling vegetarian biryani at its store here found a foreign object in a dish. “Today is the first day we have started reselling vegetarian biryani,” said John Achillea, The Hyderabad Store Manager, IKEAIndia. He told reporters that they were making this dish in the house and it is available for Rs. 99 like in the past. IKEA’s first India, which is completing six months in February, was earlier sourcing prepared veg biryani from Haldiram of Nagpur. 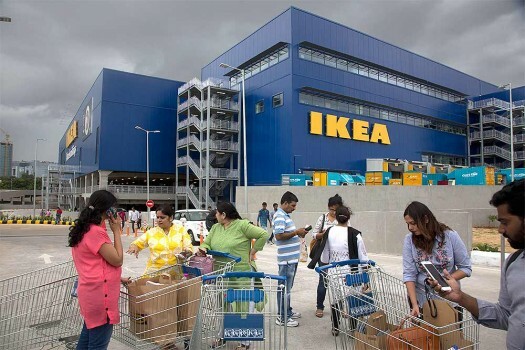 The Greater Hyderabad Municipal Corporation (GHMC) had fined IKEA store Rs. 11,500 after a customer lodged a complaint that he found a caterpillar in veg biryani served to him at the IKEA restaurant. The furnishing giant subsequently removed the veg biryani from its menu and stated that it takes food safety and quality very seriously. The IKEA opened its first India store here on August 9. It has a 1,000-seater restaurant.